The other day I was complaining about not winning a chocolate typewriter or big chocolate ammonite for the Tiptree Prize back in 1994. 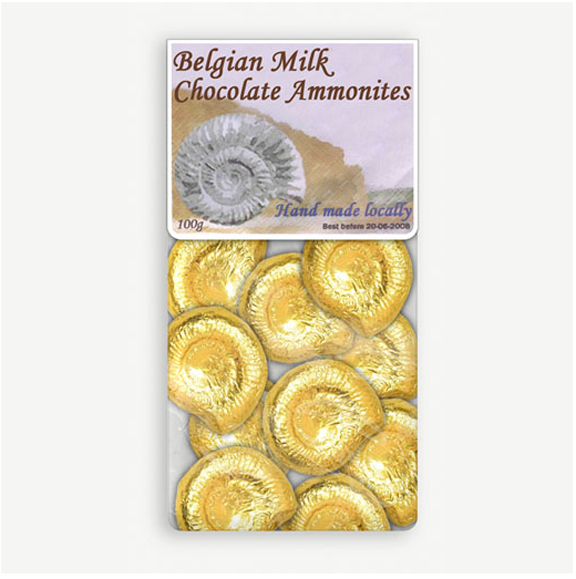 And then along comes these: tasty little Belgian chocolate ammonites. (Thanks, Elaine!) I’m in seventh heaven. Now I just need to find a chocolatier who will make me a throne-sized ammonite, something hugeous enough to break chunks off and gnaw two-fisted. A dream come true. But, hey, so are those little ammonites. Off to buy some right now. Happy! jeanne, you've gotta know what you want. mordicai, perhaps I should write a self-help book: The Whinge. Could you whinge me some winning lottery numbers?